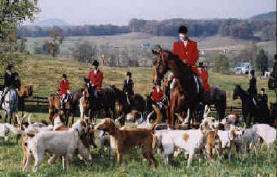 Welcome to Deep Run Hunt Club's On-Line Community! Your username and password have been emailed to you. You will be prompted to update your password on the first login. Anytime you wish to change your username or password, you may do so by logging in then accessing the "My Profile" link on the member menu. If you have not received your email, please contact Barbara in the office by telephone or email and she will give you your personal access codes. If you have previously logged in and have already assigned your personal passcodes, but have misplaced or forgotten them, just click on the link directly below the Login line which says "FORGOT LOGIN" for instructions. We can always reset your password for you too. If you have questions or trouble logging in, please contact Barbara at 784-5386 or email deeprunhuntclub@nelsoncable.com.